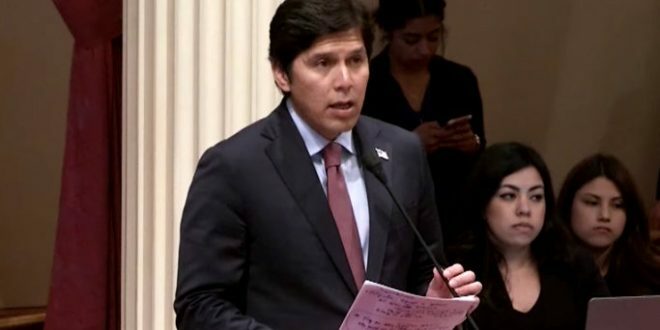 CALIFORNIA: Democratic State Senate President Kevin De Leon Likely To Challenge US Sen. Dianne Feinstein - Joe.My.God. California Democratic state Senate president Kevin de León intends to enter California’s 2018 Senate race against Sen. Dianne Feinstein, three sources with knowledge of his plans say. De León has begun calling labor leaders and elected officials to inform them of his plans, the sources said, and is expected to soon announce his campaign against Feinstein, a giant of California Democratic politics who has held the office since 1992. He likely won’t be the only Feinstein challenger. Tom Steyer, the billionaire environmentalist and single largest Democratic donor, is “very much looking at the Senate race,” a source close to him said. Steyer, who is in Washington this week, issued a letter Wednesday challenging Democratic candidates to call for Trump’s impeachment.